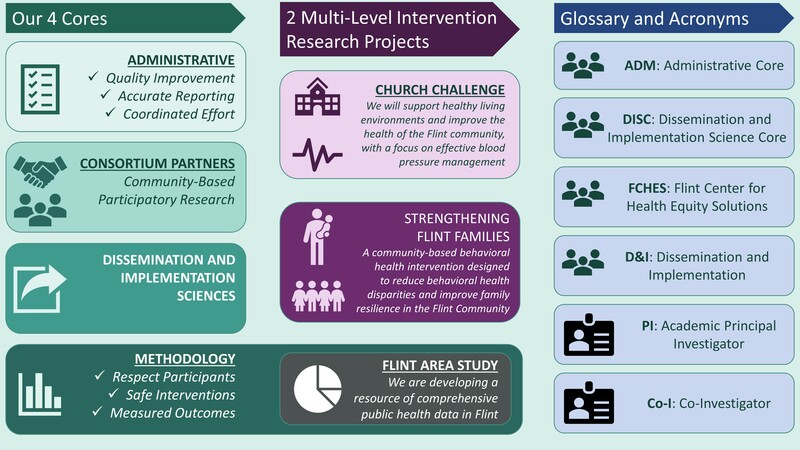 The Flint Center for Health Equity Solutions consists of 4 Cores and 3 Projects. Our Administrative Core is focused on ensuring quality operations, provides timely accurate reports, and coordinates the efforts between all of our teams. The Partnership Consortium Core engages our community members and organizations. The Dissemination and Implementation Sciences Core promotes our work and connects the community with our findings. 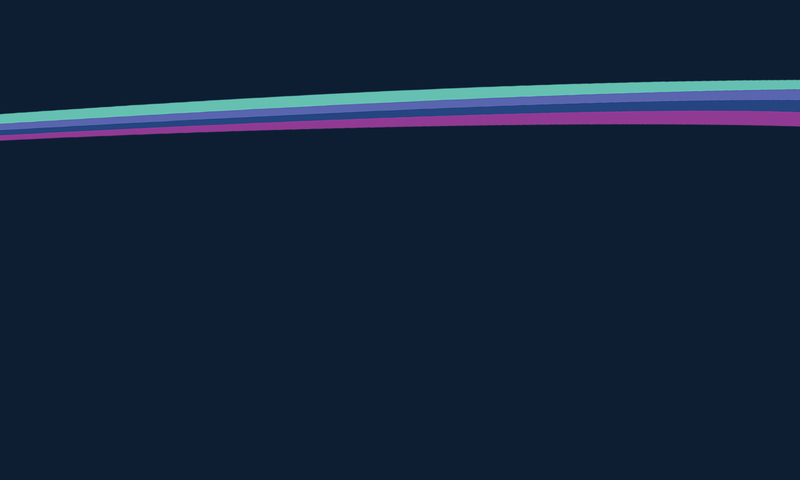 The Methodology Core oversees research, protects participants, and analyzes data. The Church Challenge will support healthy living environments and improve the health of the Flint community, with a focus on effective blood pressure management. 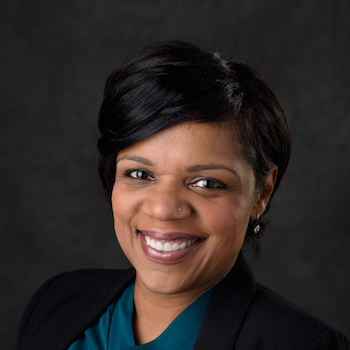 Strengthening Flint Families is a community-based behavioral health intervention designed to reduce behavioral health disparities and improve family resilience in the Flint Community. 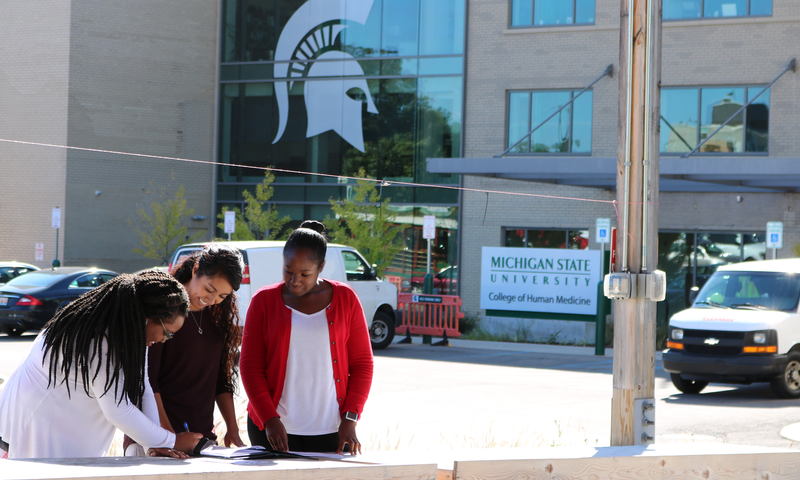 Our Flint Area Study team is developing a resource of comprehensive public health data in Flint.